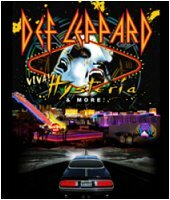 Def Leppard start full band rehearsals for the Las Vegas VIVA Hysteria! residency today. The first show is now just 13 days away on 22nd March. Guitarist Vivian Campbell told fans that the rehearsals would begin on this day a few weeks ago.